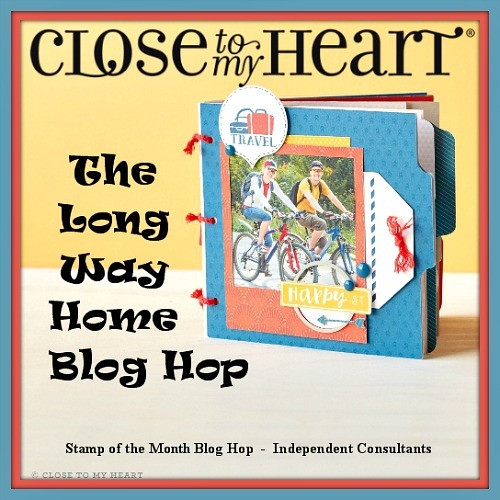 Paper HeARTIST: June's Stamp of the Month..."The Long Way Home"
June's Stamp of the Month..."The Long Way Home"
With almost 30 participants in this blog hop, you are sure to find lots of wonderful ideas on using Close To My Heart's June Stamp of the Month. The hop makes a circle, so if you are starting here just continue until you make your way back and you will have made it through them all. If you have already started and are coming from Michele Rowley's blog, "Evergreen Memories", then you are on the right track. 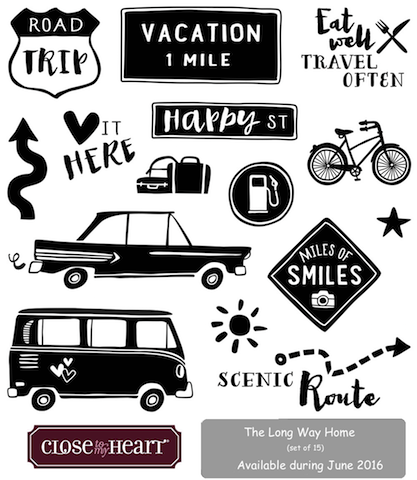 When I got this stamp set I knew that it would be perfect for the pictures of my trip to Key West last summer with my best friend. My colors were inspired by one of our newest paper collections called Calypso...perfect for South Florida pictures. Finally, my layout was based on a sketch in Close To My Heart's "Make It From Your Heart" Volume 2 Sketch Book. Now, just to get my pictures developed. If you have time, take a moment or two to check out the rest of my blog. If you enjoy your visit, then please consider "Following Me", signing up to receive blog updates, and/or leaving a comment (we all love comments...the nice ones anyway), then be sure to continue along on the hop by heading over to my fellow consultant, Lauren Moore's blog, "CTMH Craftings" and check out her project. Making your own patterned paper by random stamping all the little images was a great idea! Great random stamping! I love your color combo! 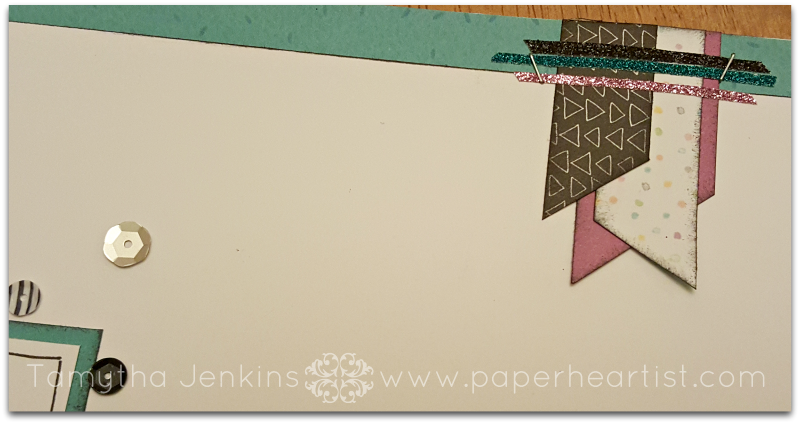 Just love all the details - love the stamping background, the way you attached the shimmer trim & how it has all come together. Wow! 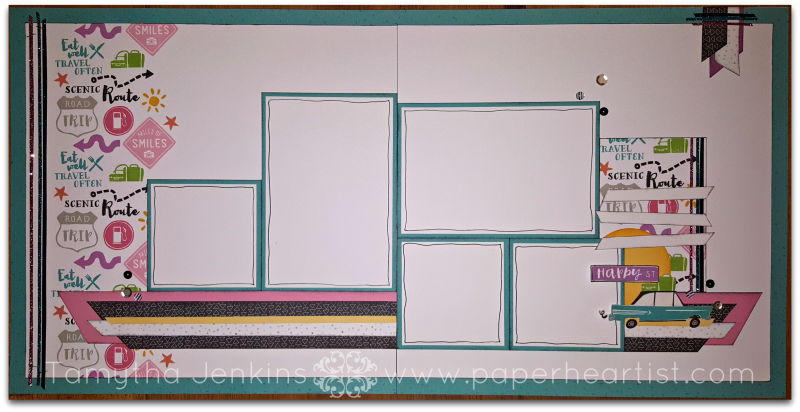 The stamped images make a terrific backdrop for this layout! Once the photos are added, this will be an awesome piece of artwork. I love your layout with all the stamping. Reminds me of the Crusin' paper pack we had awhile back. Great job. 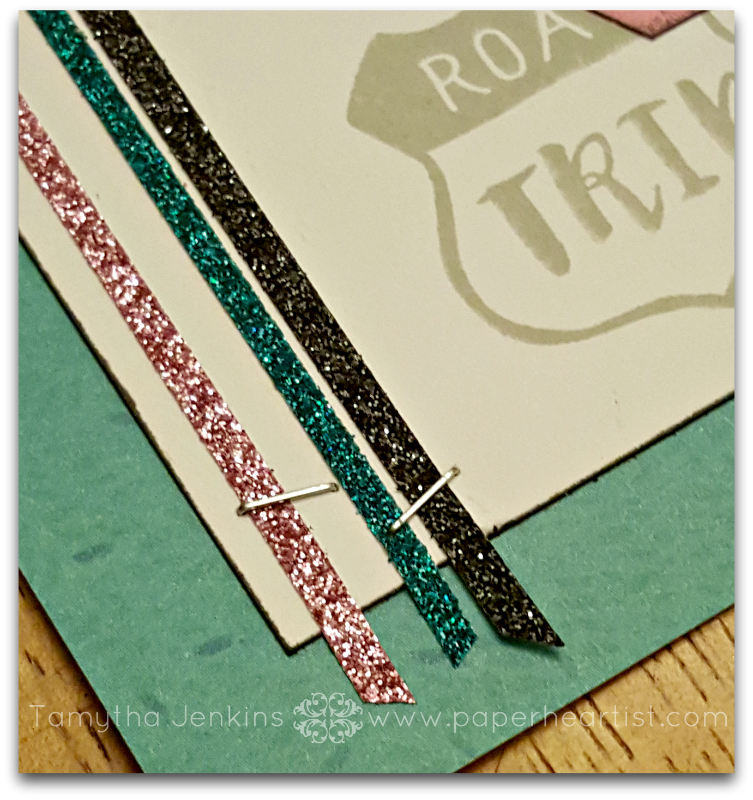 This is so fun- I love the shimmer trim and staple details! Great layout! I love all the details and the random stamping. Great job on this, Tamytha! Love the colorful random stamped feature and the groovy detail on the car! Featured it on my SOM fb faves! Thank s for your FUNN inspiration and for sharing!